I love giving tours of my Child Care Center. In fact, I can hardly wait to meet with families that are seeking to enroll their children in my center. In fact, it is my opportunity to sell my program to the families that toured the facility. The most important step is to end your tour with a bang and ask for the sale! Yes, tours are all about building enrollment and winning the sale. You may be thinking, “I am not a sales person!” However, you must put on your sales person hat when you conduct tours, because if you want to have a center full of kids, you must develop the art of conducting tours. If you are shy and not great at tours, designate someone else to do the tours. I shared this excerpt from Jon’s ( July 2, 2012) weekly e-newsletter with you to inspire you to (intentionally) finish your tours with a bang. Prior to reading Jon’s e-newsletter, I noticed that when I end my tours by giving parents a “Free” gift (Law of Reciprocity) for visiting the program or by simply having a great conversation at the end of the tour; it usually resulted in the child enrolling in my program. However, I found that if I was tired while conducting a tour and not really focused on closing the sale or not focused on ending the tour with a bang, I wondered if the parent would even call me after the tour. 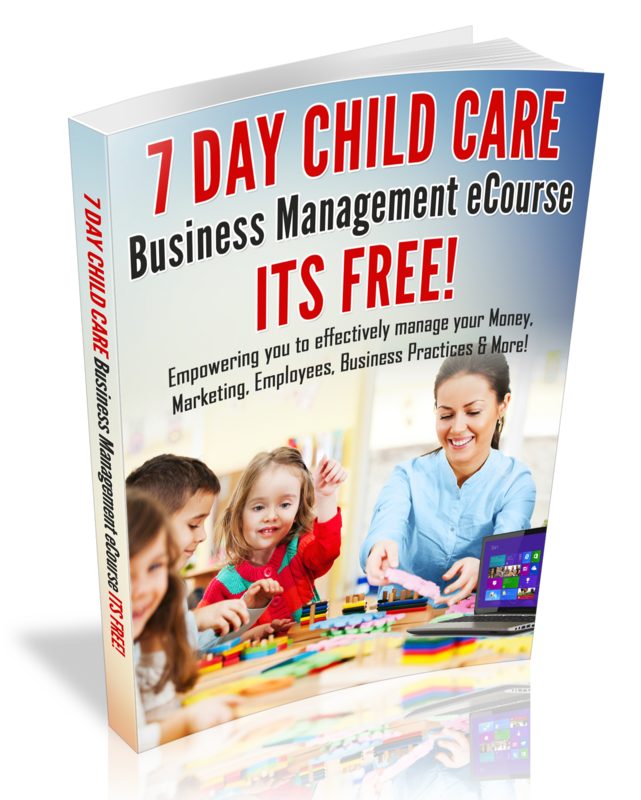 Parents choose your program based on how you present yourself to them and your business. Tip: If you are tired, go outside to get some fresh air, listen to something motivational or do not give the tour. Today, I hope that you have been inspired to end your tours with a bang and continue to strive to develop that salesperson within you. Moreover, Conducting tours is all about being a great sales person and if you want to build enrollment, it is vital that you end your tours with a BANG! Think about how you feel after watching the grand finale of a firework show….that’s the feeling you want parents to get as you wrap up your tour with them. View Jon’s e-Newsletter, Fireworks and Finishing with a Bang!